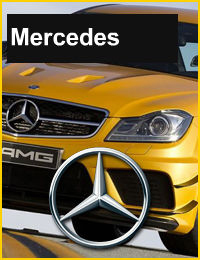 Welcome to SecureMyCar website - The Car Alarm & security Specialist. SecureMycar are Platinum Pandora car alarms dealers with mobile Pandora installers which cover most of the U.K.
With over 20 years experience, SecureMyCar specialises in the installation of security & remote start systems to high end cars, and provides every added extra to give your pride and joy the eyes and ears it really needs. 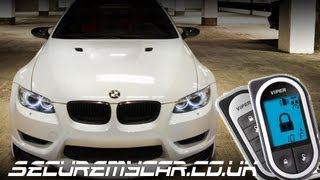 SecureMyCar is the leading viper main dealer in the UK, with car alarm systems and remote engine start which can be controlled via your smart phone as well as a sophisticated key fob which allows 2-way communication between you and your car. We specialise in high end BMW & BMW M cars, Audi, Mercede, Range Rover, Nissan GTR & Ford Focus RS & ST'. With a growing number of vehicle thefts through key cloning OBD theft, which has been aired on BBC's watchdog, and can also be seen through youtube, of people uploading vehicles of they're cars being stolen, due to keys being programmed in under 3 minutes, we have designed and produced a security system, exclusive to Secure My Car Ltd, which will prevent your car being broken in to, and a key cloned through your OBD port. Our system has now been fitted on to hundreds of our customers BMW, Audi and Ford, which are the cars most hit by this new threat. Gone are the days of your car being hot wired, now its a simple case of plugging a computer in and driving away in your car in minutes. You will find most of our BMW & Ford customers have written reviews and recommendations on forums like www.M3CUTTERS.co.uk and www.focusrsoc.com Secure My Car Ltd are official site sponsor of both these forums. Here you will find everything you need to know about the key cloning problem, and how we have secured many BMW's & Ford. Our customers feel safe knowing they're car is fully secured overnight. We have a network of installers all over the UK and we can mobile fit or you can come to us in a web of locations, in Wales, and right across England. 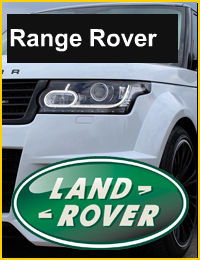 We specialise in BMW's and Audis, Nissans to Fords, Fords Focus RS, to Mini Coopers, Land Rovers and Range Rovers, Mercedes, right through to Volkswagon transporters & Crafters, Mercedes sprinters & Vito's, Ford Transits & Transit Connects. CHECK US OUT ON OUR YOUTUBE CHANNEL - here you will see our wide range of cars fitted with Viper car alarm systems, remote start, smartstart, showing full videos with our latest products. 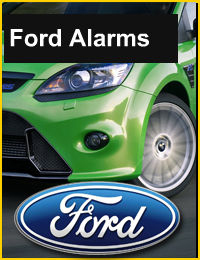 Pandora car alarms are the leaders in vehicle security with over 20 years in the industry. 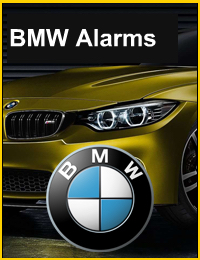 pandora car alarms have a car alarms to suit everyones needs whether its pandora car alarms cat 1 thatcham approved car alarms to there entry levelpandora car alarms. pandora car alarms comes with protection to the boot bonnet and doors aswell as dual shock sensor and immobiliser. 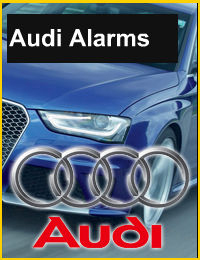 The pandora car alarms car alarm can also be fitted to almost every vehicle on the market today. pandora car alarms next car alarm on offer is the clifford concept 470 which boasts the same features as the pandora car alarms but also comes with a glass tampering sensor, tilt and motion sensor and an extra immobiliser. The pandora car alarms also comes with two five button remotes when the pandora car alarms only come with 3 button remotes. the pandora car alarms also comes with clifford super bright blue led. pandora car alarmsentry level car alarm system is the pandora car alarms car alarm system. with dual immobilisation and pandora car alarms legendary daul proximity sensor with warn away. the pandora car alarms car alarm system also comes with cliffords battery backup siren and cliffords anti hijack blackjax system. The pandoraLight pro car alarms also won best car alarm system and best cat 1 car alarm system in the 2009 me awards. No other cat 1 thatcham approved car alarm comes close the The pandoraLight pro car alarms car alarm. The pandoraLight pro car alarms insurance approved alarm system is the The pandoraLight pro car alarms system. The The pandoraLight pro car alarms dual proximity sensor, tilt an motion sensor aswell as clifford glass tampering sensor. The clifford avantguard 5.5 cat1 also comes with cliffords blackjax antihijack clifford car alarms battery backup siren and is completely programmable through The pandoraLight pro car alarms. The The pandoraLight pro car alarms car alarm also comes with remote engine start. at the the touch of a button your car alarm will start your car on those cold winter mornings and warm your car. clifford intellistart module will fit on to any The pandoraLight pro car alarmssystem including the clifford arrow 5.1 car alarm and the The pandora Light pro car alarms car alarm aswell as the clifford concept 650 cat 1 car alarm system. All The pandoraLight pro car alarms extra sensor and parts including remote engine start is designed to fit on to any The pandoraLight pro car alarms. We are based in the bristol city centre and have been fitting clifford car alarms now for over 20 years. We cover mobile fitting in Bristol bath london exeter Birmingham Coventry Leicester Cardiff Newport Gloucester Yate Bristol south west wales essex sussex middlesex luton kent.